March 20: 5 POWER Lessons From 5 Leaders Who Made History On This DAY! We all have the ability of self-empowerment, but the experiences of these successful leaders will truly serve as an added stimulant to your journey towards success. Read on! Always remember that you will be secured and held high forever by all that you nurtured and worked for. What you dedicate your life for, is a savior in disguise which forms a shadow of you, living with you all throughout your journey. What you gain from your interest, passion and consistent hard work cannot be measured in physical terms; it is something which adds immense value to not just your life but to the entire society because such deeds always result to a feeling of added positive provocation in the minds of the world to set their ideas and transform the present into a nourished one. The abstract asset, knowledge is one among those which can never be stolen. Hence, it is every one’s responsibility to ensure this asset reaches all the residents of the world. Known for transforming the college into the elegant American research university, Charles William Eliot, American academic and Harvard's president who was appended with the longest term, proved his high scientific talents by dealing with gaining and spreading knowledge. The Assistant Professor’s most influential reforms include the development of a system of “spontaneous diversity of choice” to promote liberty for choosing what we want to. Making it a motive to cast what is called as ‘education,’ he had to walk away from his dreams of Professorship yet he overcame all his family’s economic situations which formed the darker side of his life by going with the flow as he knew the stream of life would let him land on his destination. In general, we tend to restrict ourselves to only work on what we are assigned; we don’t usually expand our horizon to seek knowledge about the overall prospect. Along with seeking an opportunity to learn all that is confined to your profession, mastering the ways to improvise the background of it also adds weightage to the overall development professionally. When we aim to increase the overall outcome and performance then working on all the aspects, thinking in terms of increasing the possibilities and binding the pluses after a keen analysis of the complete overview must also be focused on. 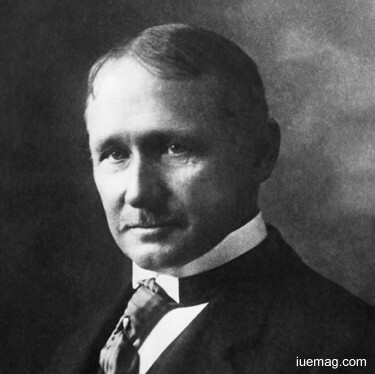 Following the same principle, father of production management, Frederick Winslow Taylor, an American mechanical engineer gave life to an endorsed theory called scientific management. His deep analysis made him understand the actual meaning of whatever he is involved in professionally. Making efficiency as his only mantra, one of the first management consultants intellectually sowed a seed of progress and reaped the grand outcome characterizing the floor of management. Combining technical, industrial and creative skills, he brought about advancement in the quality of job, work atmosphere and much more. His techniques spoke about Pay the Worker, Not the work idea. Initially trained as an engineer, he began his professional life as an apprentice pattern-maker and the experience of which induced a tinge of motivation in him to achieve and reach the position he was destined to. Learning from others, following your role model and taking the path walked by the experienced add more good to your life. This has nothing to do with imitating or replicating the idea, work, action or anything; recognizing and utilizing the unique talent which god has bestowed upon you is the key to remain an idol of sanctity and joy at every step you take. Being yourself purely by keeping aside, all the criticism, weaknesses and inferiorities help you gain what is known as reputation for whatever you do with the real essence of innocence. However we are aware that nothing is a barrier as far as tasting success is concerned. Reflecting the same, Amanda E. Clement the first woman umpire for a baseball game on a regular basis for six years, and served occasionally for several decades. An accomplished athlete in multiple disciplines like gymnastics, tennis and more, at age 16 she umpired a game for the first time. 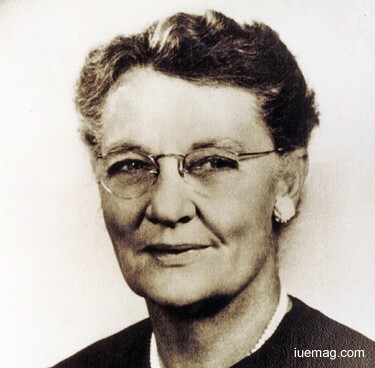 The young Clement quickly worked throughout a five-state region, and she was the first person contacted to umpire any game. Clement umpired for six years but she raised her fame while stories of her appeared in every newspaper in the country, which brought her fame and recognition. Amanda certainly is an inspiration from history and stand as an ambassador for courage and determination. The true joy, happiness, contentment and satisfaction reside in spreading fortune and gifting smiles. Carving a radix of hope in the lives of people around takes what is called as the dedication and attitude of helping. Understanding the spark of glory which gets ignited as a result of improving another person’s life is something to be described beyond the worldly terms. 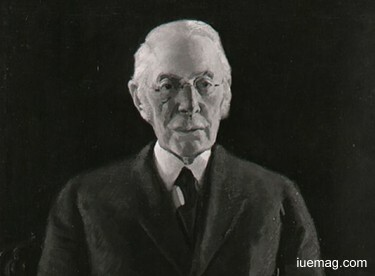 American philanthropist, Ralph Hauenstein, proved to be a leader and role model by contributing his part in all his responsibilities- an army officer, business leader and a reputed newspaper editor. His widely prospective services like Center for Presidential Studies, Centers at Saint Mary's Hospital and Hauenstein Library created a string of hope and positive impact in the life of many. He coupled knowledge, resources and reality to produce ways which could benefit the society and help walking towards true development. Striving for the up-liftment of the society doesn’t just help improve other’s lives but yours too; consistent hard work and perseverance pushed his position to the rank of colonel. Holding the primary objective as establishing betterment, he behaved as an active source, scrolling all throughout to ensure this objective of his is fulfilled. Age is a mere number! 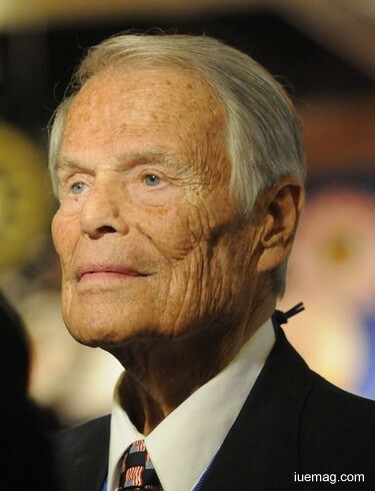 This statement is specifically authenticated by the ever young master in terms of enthusiasm, innovation, and more as at 103 years of age, Ralph Hauenstein lived a life characterizing divinity which emphasized the service and leadership which would inspire the rest of the world. What is the point in just growing in terms of age? How well we make use of our age and circumstances to create a legacy which empowers the world is what makes us a little different compared to the remaining. The society, having every kind of life thinking rationally, looks for previously proved instances to accept something. There must be a start for that concept of previously proved instances to occur and that is the role of a leader, a curator who dreams to leave the world with jewelry of practically proved lessons which when followed, would fetch you the necessary growth. Sister Rosetta Tharpe, rooting the same cause, casted her originality by a very different blend, which got her close towards realizing her quality of uniqueness, determination to create what she imagined, by appending a new tagline to it to describe its unfading power. Not compromising on the identity of the original gospels, she redefined the same by adding a rhythm to the spiritual lyrics which attracted the rock and roll musicians. The singer’s divine light emerged as a gleaming inspiration in the dark nights of concerts. The dedicated contributor to frame the stream called pop-gospel, she proved that the true sense of art can be revolutionized purely based on the contemplations and colorful thoughts. Beginning at an age of 6 by performing on stages with her mother, she grew this seed of interest into a tall tree which showered upon her wisdom to give rise to an expanded horizon in her domain. 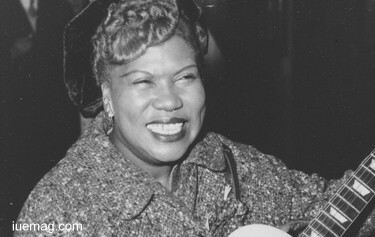 Called "singing and guitar playing miracle," she was the first great recording star of gospel music of her times. The great melody instilled an array of motivation in the minds of her song lovers before she left. This refreshing read would have undeniably brought a revitalizing wave into your mind as the ultimate goal of each of us here, is to achieve what we want to and live for the purpose of our lives. We believe that you shall always remember to apply these learnings during the course of your life, to enhance your growth and your lifestyle! Any facts, figures or references stated here are made by the author & don't reflect the endorsement of iU at all times unless otherwise drafted by official staff at iU. This article was first published here on 20th March 2017.